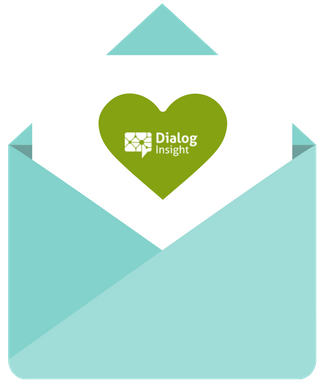 Whether you want to set scheduled imports or exports, you need to have set up a place where Dialog Insight can retrieve the files to import or place the files to export. 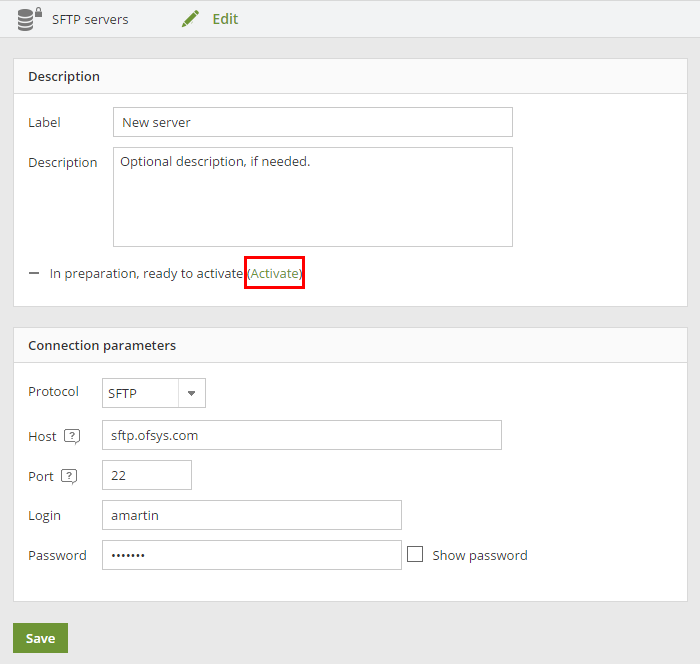 Once the server has been defined, it is important to test the connection to make sure that imports and exports will be possible. In the list of servers, click on Create a server. *You can also check in the archives to see if the server is there, in which case you just need to reactivate it so it becomes available for selection (by clicking on ). Give the server a name, and click Create. Once on the edit page, you can enter a description of the export, which is optional. the port number to use. Leave this field empty if you want to use the standard port for the selected protocol. the name and password of the user, to connect to the server. Even if providing a user name and password is not mandatory, it is recommended if you are using an external server. *Make sure to note your password as once the server is configured, it is no longer visible, unless you have checked the option Show password. Once the description and parameters have been defined, click on Save, and then click on Activate to make the server active and available for selection. Once activated, you will see a new page to test the connection to the server. 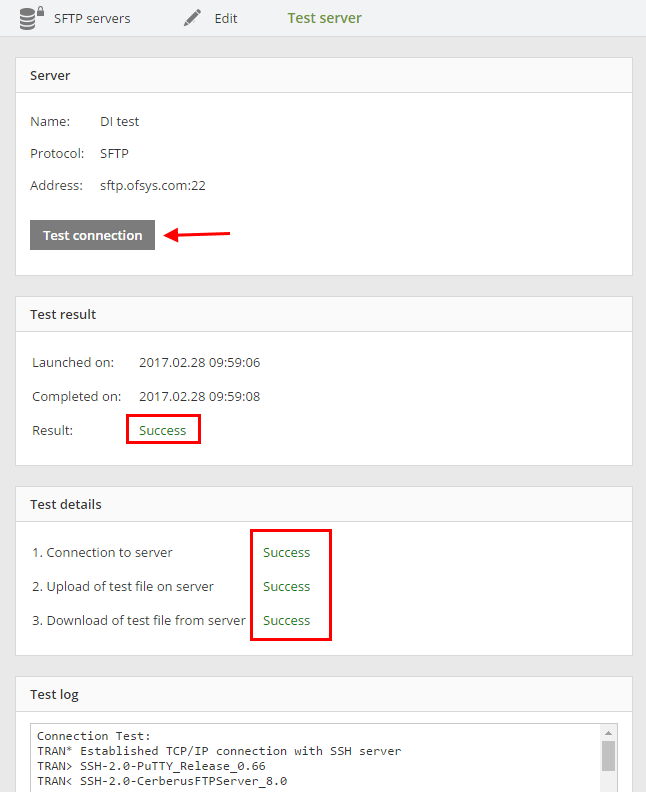 In the test page, click on Test connection, and check the results. You want to see that the connection succeeded.